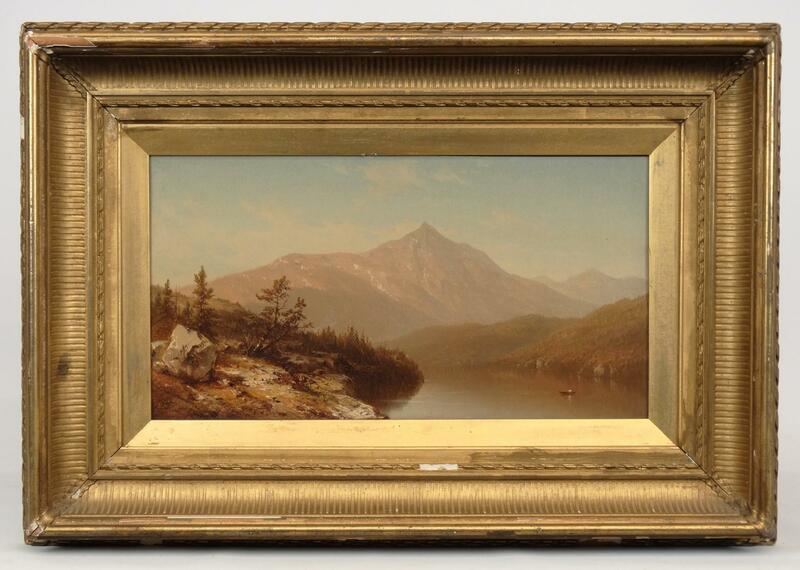 Landscape attributed to local Hudson River School Artist Sanford Robinson Gifford sells New Year’s Day for $35,100 – COPAKE AUCTION INC.
On New Year’s Day 2017 we sold a Hudson River School landscape attributed to Sanford Robinson Gifford (Mass./N.Y. 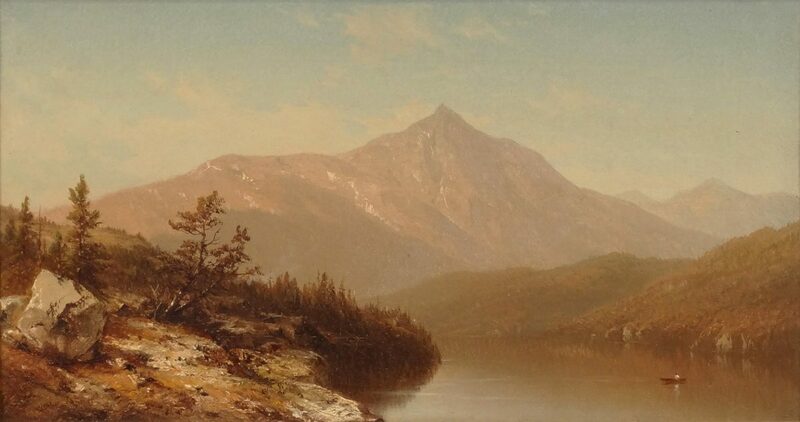 1823-1880), “Mountain Lake”, oil on canvas, 9 1/2″ x 17 1/2″. 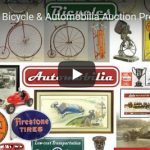 The painting was unsigned and unreserved and sold for $35,100 (including buyer’s premium). 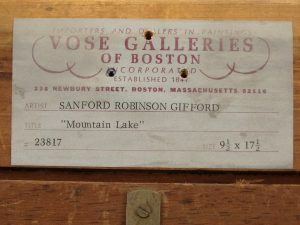 We received direct info from Carey at Vose Galleries that they had received the painting from a Casenovia N.Y. collection in 1972. The painting was at that time attributed to Casilear. 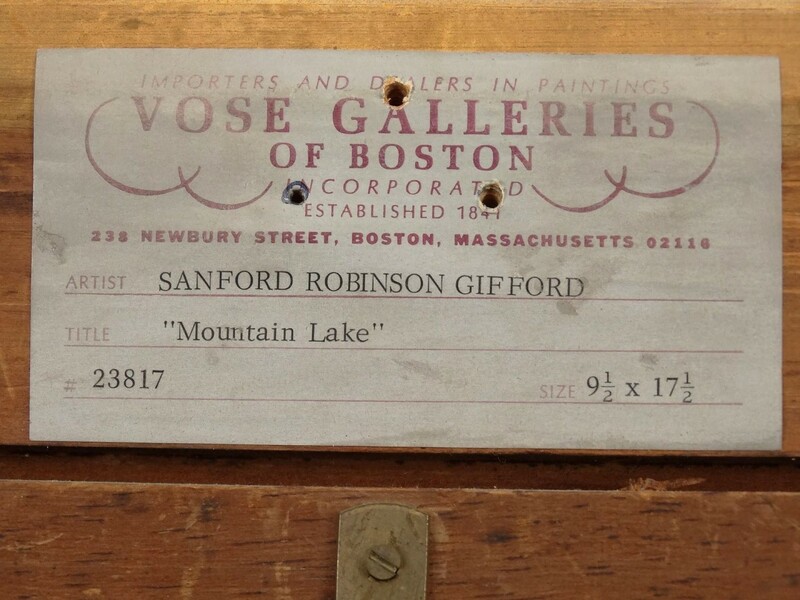 The grandfather and father at Vose reattributed it to Sanford Robinson Gifford and then sold it as a Gifford to the collector we received it from.